We the management of Britts World Entertainment is proud to present our fast rising RnB/HipHop duos PureBoiz new Single ''BOMBAY'' Featuring Skales an internationally known Afro Hip/Hop Star. The new Single collaboration titled ''BomBay'' has hit the Nigerian Air Waves , the Single is produced by the celebrity producer Jay Pizzle. The collaboration defies any easy pigeonhole, in the intro, PureBoiz introduced the sound and the Super Star Skales gave it the BIG Okay sound which brings an interpolation of a Stylish Club Banger, no matter your mood, you must move your body to Bombay which plays a sweet Afro melody on guitar swings,xylophone which reaches deep expression on the values of the body movement, all skillfully blended into a seamless flow. This is a music from the heart that hits you right between the legs. 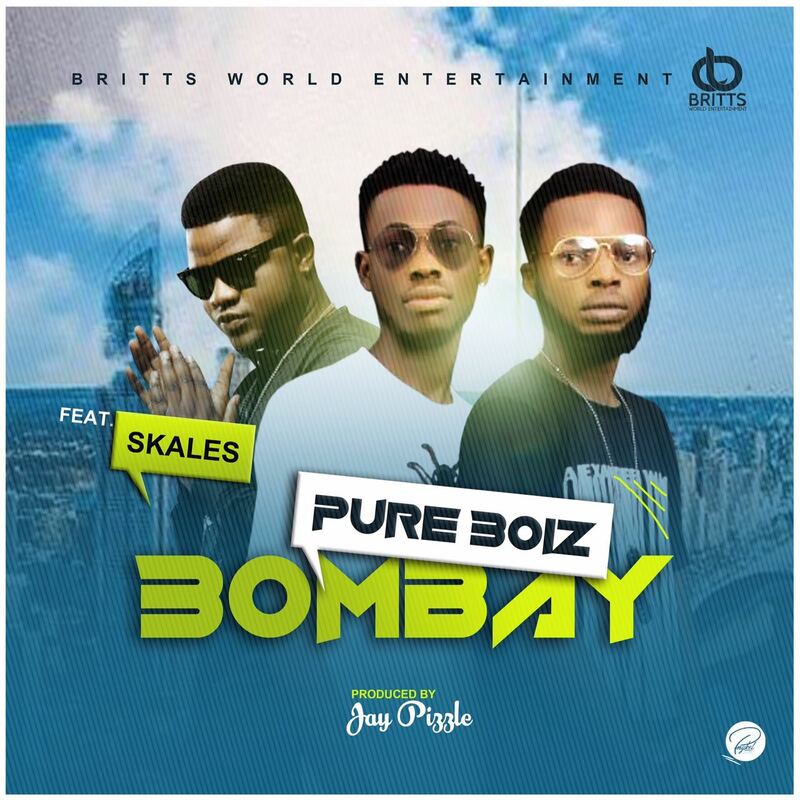 This song can be downlaoded in all major music blogs online, just google PureBoiz Ft Skales ''BomBay''. And you also have the opportunity to downlaod other songs from PureBoiz such as : My Lover, Pure Angel, Roc Da Party, Lie lie Love, Bombay. Please check us out: IG: @PureBoiz, https://facebook.com/pureboizbrittsworld; facebook.com//teampureboiz, Twitter: @PureBoiz and do not forget to follow us.